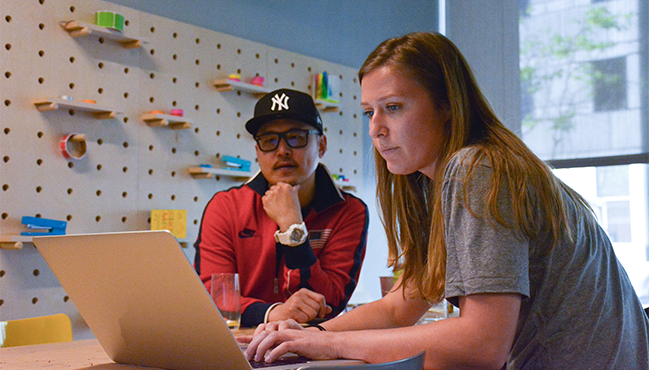 We offer opportunities for nonprofits to develop new skillsets and take on challenges alongside our employees. Our teams can advise on topics such as digital marketing, business development, engineering and UX solutions and much more. Join us for a 45-minute 1:1 mentoring session with a Google volunteer who is an expert on Google Ads. We will do our best to match you with a Google volunteer based on your needs and questions. Feel free to bring up to 2 others from your organization to your session. Having a Google for Nonprofits account is a requirement for this session so if you're not currently enrolled, please go to the following site to apply. Note that the enrollment process can take a couple weeks. However, if you're not approved in time for the workshop, don't worry! We plan to host these trainings periodically throughout the year. Join us for a 90-minute session with a Google volunteer who manages our official social media channels. We'll provide tips, tricks and best practices for refining your organization's strategy, creating social-friendly content, engaging with your audience and achieving your goals. This workshop is designed for those who are new to social media channels and those want to learn more about how to optimize their channels further. How do I access opportunities in the space? Registered Bay Area 501(c)(3)s are eligible to apply for membership. If membership is granted, your organization is eligible to use the space and you’ll receive updates on our opportunities for mentoring, trainings, workshops, long-term projects and more. Q. How can I attend events in the space? 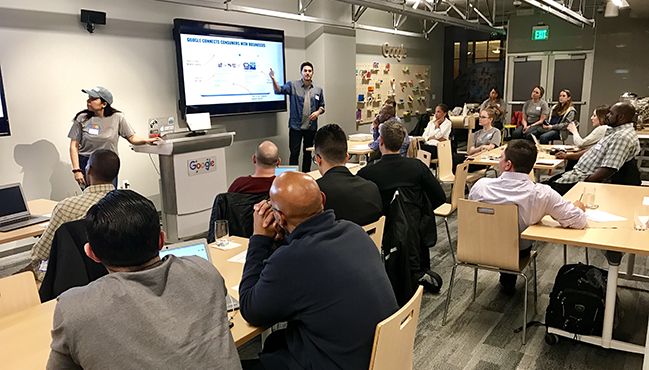 A. Google-hosted events in the space are open to member organizations. Nonprofit hosts own their event invitation process, but they are welcome to open events to the public if they choose. Q. When and where does programming from Google take place? A. Continue visiting our site for the latest information on Google-led programming. In the future, we will also publish these events in our newsletter for easy navigation. A. All programming provided by Google is for nonprofit member organizations. If you are a registered 501(c)(3) click here to get started.